Gundlach Is Bullish On Junior Oil, So Should You Be? Every spring the elite of the investment world gather in New York for the Ira Sohn Investment Conference. It is a Who’s Who of the hedge fund industry. This year Jeff Gundlach—who oversees $120 billion for DoubleLine Capital—took the stage and pounded the table for buying one thing…. Shares of oil producers, specifically smaller companies. The reason why Gundlach is bullish on junior oil is so very simple. I can cover his entire investment thesis in just two charts. The first chart is the price of the commodity itself, WTI crude oil. Two years ago WTI oil was trading for $45 per barrel. Today we are getting very close to $70 per barrel. That is more than a 50% increase. Clearly a good thing for oil producers. This second chart is the SPDR S&P Oil & Gas Exploration & Production ETF (XOP)—which is what Gundlach was telling investors to own. While WTI oil is up 50 percent over the past two years the XOP hasn’t budged……it is essentially flat. On the surface that doesn’t make much sense. The share prices of oil producers should follow the commodity price directly. While oil prices have soared over the past two years the XOP should have done the same. When you dig even deeper, it makes even less sense. The XOP is an equally weighted ETF. That means that unlike most ETFs which are market cap weighted and mostly invested in oil majors, the XOP has loads of exposure to small oil companies……the companies with real leverage to oil price movements. Gundlach is recommending the XOP to specifically target these smaller companies. The XOP hasn’t moved for two years. That is very strange. Not only should the performance of the XOP follow the price of oil, the leverage that these smaller companies have to the commodity price means that when oil prices rise the XOP should rise a lot more. The smaller operators that are heavily represented in the XOP—by and large—have a large percentage of their production tied to U.S. shale oil. 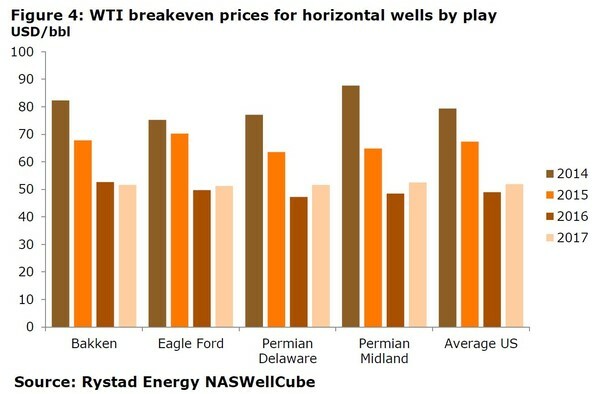 While the breakeven price for producing shale oil varies between plays, and is a moving target because of service cost fluctuations… it wouldn’t be outlandish to estimate that breakeven price comes in around $50 per barrel. That means that two years ago when oil prices were $45 per barrel the average small shale producer wasn’t breaking even. Today those same companies are getting almost $70/b; far in excess of their cost of production. That means these small companies are generating Big Cash Flow. Oil prices are up 50% in two years; cash flows are up exponentially. How then does it make sense that these companies have gone from losing money or breaking even to generating significant cash flow……yet their share prices as represented by the XOP have not even moved? The answer is that it doesn’t make sense. That is why Jeff Gundlach pounded the table on these companies at the Ira Sohn this week. Pricing the small oil producers for $68 per barrel would mean a HUGE revaluation of their share prices higher. That revaluation is not the 50% move that oil has made…..remember these companies have leverage here. The share prices need to move more than that to match up with how much their cash flows have increased. We are talking about multi-baggers here. That is if oil stays where it is today. If oil prices go even higher……..there is even more upside. And that is why this lack of move in the XOP is so strange. 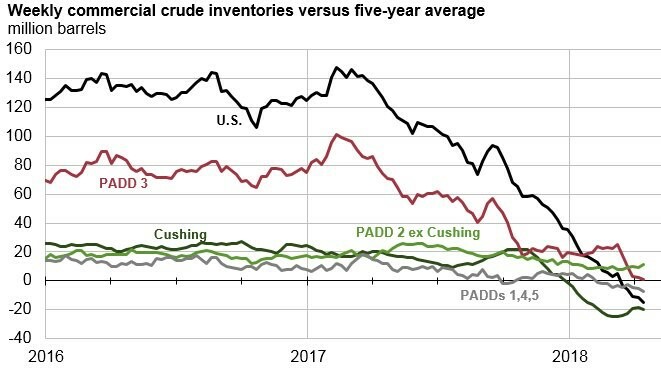 The market is pricing these companies like it doesn’t even believe that $68 per barrel oil is going to last, yet oil inventory levels have hit the bottom of the five year average and are still falling. If anything the facts suggest that oil is still going to go higher. 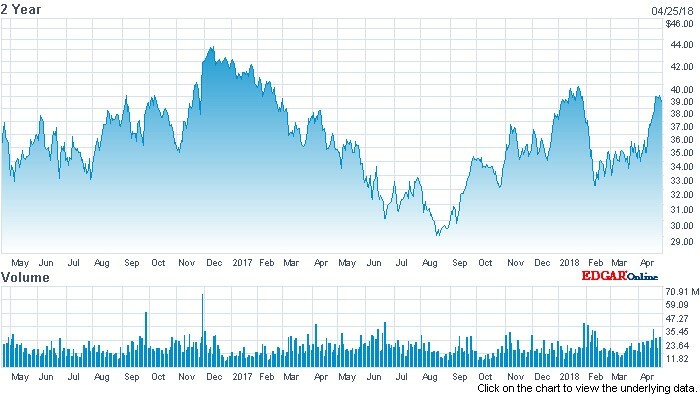 Clearly investors have given up on the energy sector….that is the only explanation for why share prices of these companies are so low while the oil price and fundamentals of the oil market are so strong. 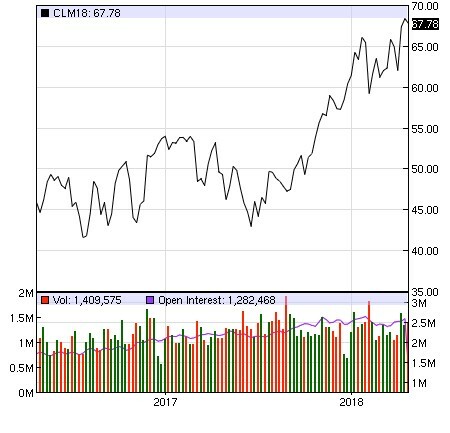 If (or should I say when) the market accepts the reality that the oil glut gone and that a shortage is emerging the rally in junior oil names is going to be one for the ages. To profit from this a person could own the XOP like Gundlach is doing. Doing so would mean that you get exposure to the average oil producer. But I think there is an opportunity to do much better than that. You could instead fine tune your investment and own a company that is far better than average…a company that I believe is by far the best way to get exposure to an oil sector rally. I’ve spent two years owning, studying and following this company. I don’t settle for average companies. Just for today I’m going to share my full company report with you—RISK FREE. I’ve found something special with this company and it is in my best interests to spread the word. Just click here and get yourself positioned for what Jeff Gundlach thinks is going to be a fantastic ride for investors. Now is the time to show that you are smarter than the average investor. It is time to outsmart the market. Click HERE to get the symbol of this highly profitable oil producer NOW.